PeaceWalker Blog: The Gift of Anger?! Gavin DeBecker's book "The Gift of Fear" make some really good points about that gut feeling you get that will keep you safe. Less people know what to do with Anger, let alone how to USE it as a tactical advantage! When we can throw off all of our current stigmas that coincide with anger, namely, loss of control, guilt, shame, bullying, victimizing... etc. You can see anger for what it truly is and what it can be used for. Yep, When you're Angry, sh*t gets done! Now I don't mean unbridled rage, temper tantrums or anything to that extreme. I'm talking about feeling the emotion of anger, harnessing it and using it to your advantage! 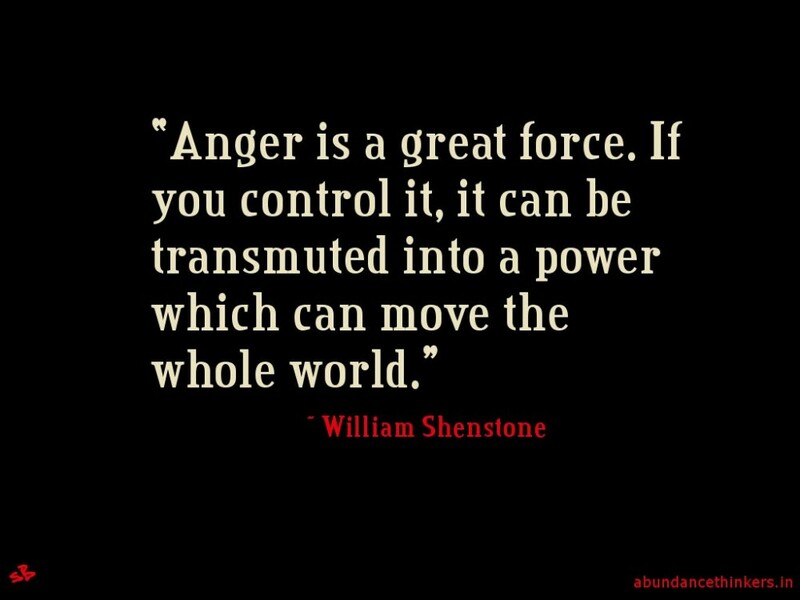 If you can accomplish that, you can use the energy that anger gives you to good use. In this age of "being a victim" is power, the only thing we seem to use anger to fuel is blaming, resentment and passive aggression that can lead to greater acts of violence and sometimes tragic consequences including suicide, 'lone wolf' attacks and terrorist activities. We have become a society where we learn (and are expected) to suppress a lot of anger, rather than being taught to understand how to use it properly. Today anger is often seen as a rude, unnecessary, loss of control and barbarism that which isn't tolerated by our 'civilized' society. It appears that we would much rather deal with things (initially) in a more passive, politically correct way (faux respect), than meet things head on appropriately, but more assertively. So we've mastered a wide array of passive (and not so passive, but one might say cowardly) aggression that seem to be more accepted. Trolling, cyber bullying, ghosting, blaming, playing the victim, (to a lessor or greater degree) entitlement, complaining or protesting w/o lifting a finger to actually help, are just some of the examples of what is transpiring. When it comes time for someone to step forward to actually do something about it, no one has anything but excuses as to why it 'should' be different, but they are too busy or otherwise indisposed to dig in and actually help implement the change they are suggesting. And/or the change is so idealistically unrealistic at this time it doesn't leave room of how things happen in real time. But don't miss read me, I'm not advocating that voicing your protest is wrong, nor that violence as the ultimate way to manage conflict. I'm just saying that it's easier to complain than actually DO something and it appears that the pendulum has swung in that direction (some might say quite a bit). Use It... Don't Lose It! 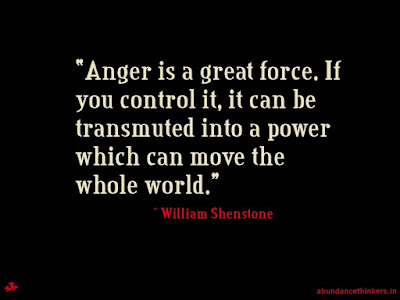 Use the intensity your anger gives you for (appropriate) action. Don't just 'lose it' and wast all that raw energy on being impulsive! Unfortunately today we are taught to suppress many emotions that we find 'unsavory', we lack the mentoring necessary to teach others how to use that energy correctly to gain the advantages they were meant to give. Another reason for good training! Good training will help you to not only navigate those emotions, but use them to your distinct advantage. If you suppress them they are not only useless, they are a detriment in the moment and will cause serious psychological/emotional problems in your life. I'm no sociologist but I believe that part of what we are experiencing today, which is across the board a DECREASE in 'standard' forms of social violence, but an INCREASE in more extremes like suicide, active shooting events and terrorism (each of these categories have risen extensively in the past 20 years), is due to this trend of teaching (a.d.a. socializing) people to be more passive beyond the point of comfort and what we would naturally, instinctively do on our own (or possibly it is the transition or social 'evolution' that we are experiencing with such resistance?). Namely, 'we' don't trust you to protect yourself. 'We' will protect you. But when that doesn't happen it leaves most people in a social/emotional gridlock of confusion, doubt, frustration, fear and anger. We are (often) taught that standing up for ourselves is wrong or that the margin for error or misjudgment is so fine and the consequence for stepping out of line so great, that the infraction of not following the establishments rules supersedes that of the violator infringement of the victim. We are taught that we don't have the expertise necessary to do a good enough job and we need someone of authority to do it on our behalf. And for the most part that works, because we DO live in an overall less violent society. The feeling of resentment is multiplied by feeling betrayed because they've been taught that going against the establishment holds a greater consequence than someone victimizing them. So they begin to feel resentment, becoming more conflicted, confused and angry. Explode - Active shooter, 'lone wolf' attacks, active assailant, joining extremist groups and act terrorism, etc. Now I realize that I have not dug my heels in to do a full researched study... and probably won't, but that is my view of it at this point in time with the research I have done, what I see happening and the experiences I have had. So, How Do YOU Turn Your Anger Into An Advantage?! And What Does Israel Have to Do With It?! I'll tell you in the next post! P.S. Get more FREE Tips, Tricks & Tactics about Living a Protector's Life - Sign up on www.peacewalkersubscribe.com.